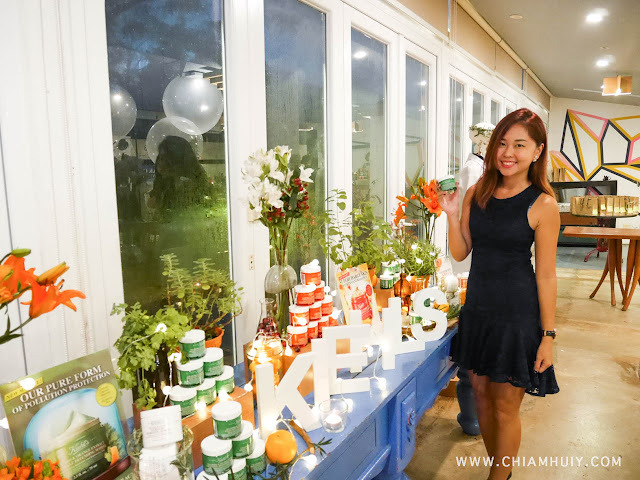 Dull skin has became a global aging concern for women, and very often these issues are not that evident at their early stage. Causes of dull skin are like diminished cell turnover, free radical damage and dehydrated skin. Because of this, masques are often the savior for such problems. Nature inspired with ingredients like cranberry, turmeric and cilantro, these Kiehl’s New Masques will give you a surprise with their excellent masking efficacies while smelling delicious and pleasant! Let's check out the new masques from Kiehl's today - Cilantro and Orange Extract Pollutant Defending Masque and Turmeric and Cranberry Seed Energizing Radiance Masque! 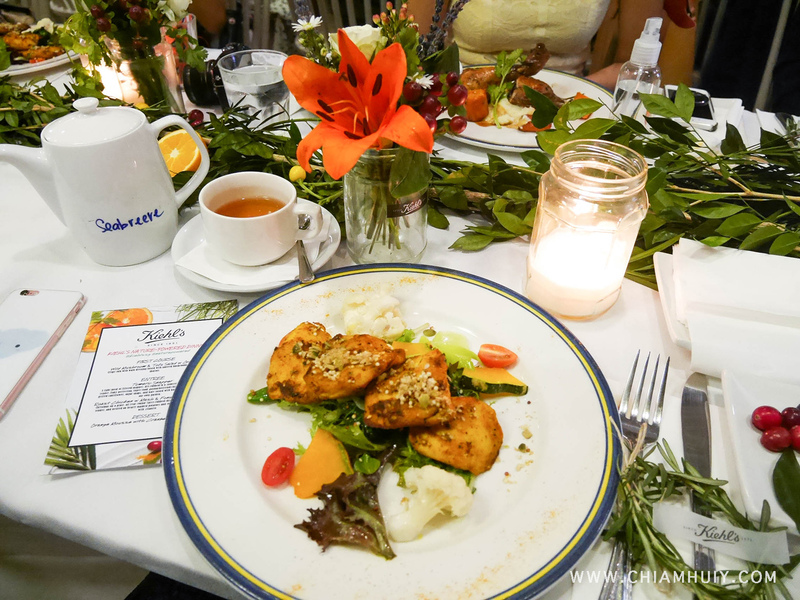 We were given a treat at Dempsey House featuring dishes that use ingredients related to those used in the new masques. 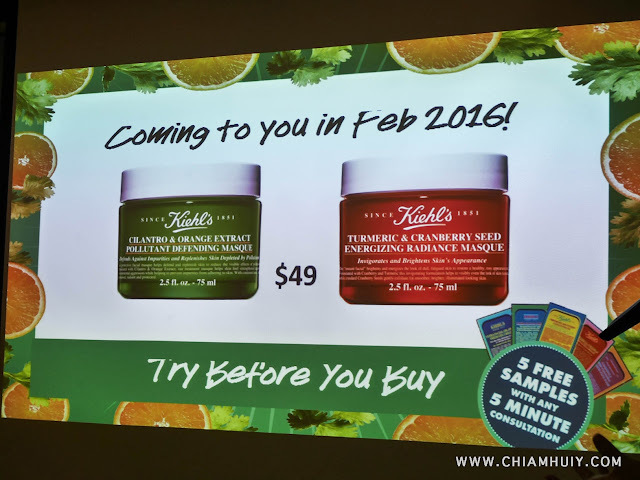 That's right, if you haven't know, Kiehl's has this culture of try before you buy. 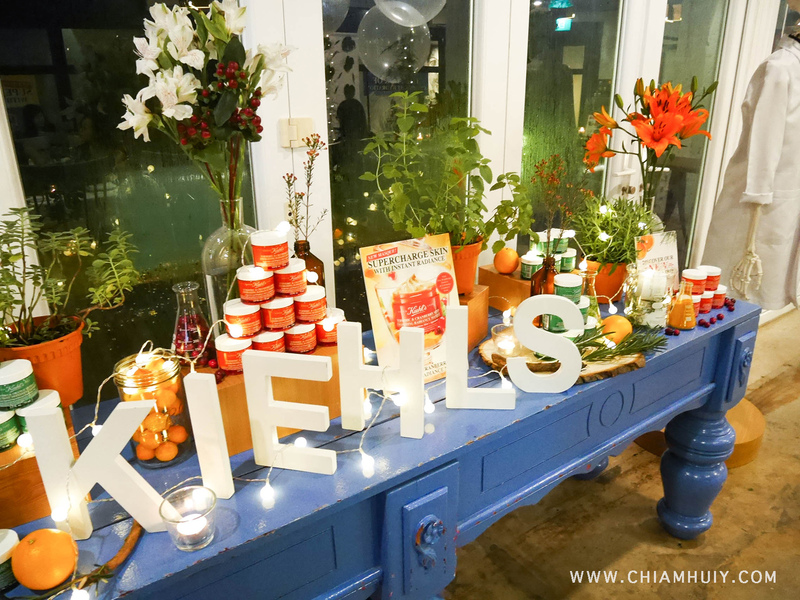 You can easily obtain 5 samples at any of their Kiehl's stores with any 5 mins consultation. That night, main courses are Tumeric Snapper and Roast Chicken garnished with cilantro. 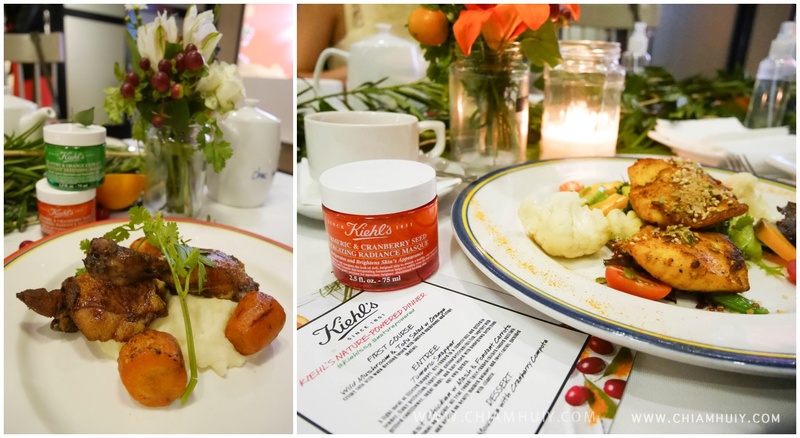 Both were a delight to our tastebuds and we definitely enjoy a cozy setting like this. Of course, let's get into the main topic shall we? 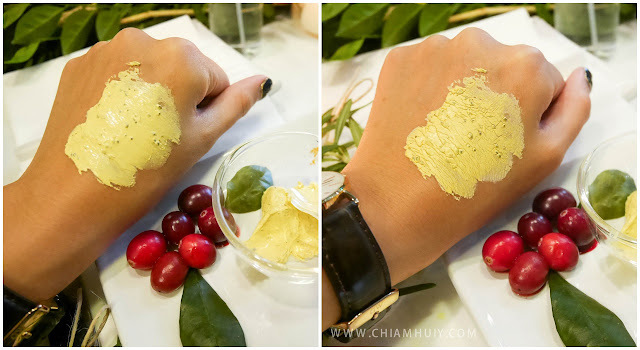 First we tested out the Turmeric and Cranberry Seed Energizing Radiance Masque. We applied a small amount of the masque on the back of my hands to do a patch test. Some people may experience a tingling effect at the beginning due to the Turmeric ingredient, which minimizes pores at the same time. The tingling effect isn't that strong nor overwhelming. This Turmeric and Cranberry Seed Energizing Radiance Masque acts as an instant facial, to brighten and energize, while restoring healthy and rosy appearance. The key ingredients are turmeric and cranberry, as the name suggests. Turmeric, an ingredient from the ginger family is well known for skin brightening effect. Cranberry on the other hand is a very powerful antioxidant element which helps to remove dead skin cells. Here's how the ingredients benefit your skin: 1. Turmeric extract has the capability to soothe, heal and detox the skin from damages and impurities. It can also treat skin imperfections and improve skin radiance! 2. Cranberry (one of my favourite fruit!) is very rich in anti-oxidants, and the crushed seeds inside helps to exfoliate, leaving you skin energised and renewed. Recommended: Cleanse your face, apply on mask and let it semi-dry. 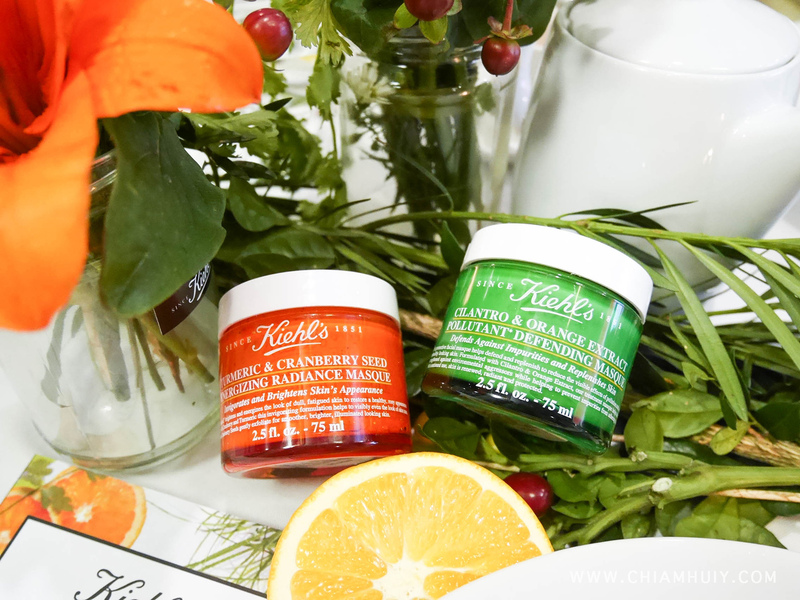 Wash off with circular motions as the Cranberry seeds act as an exfoliating agents. Suitable for all skin types! 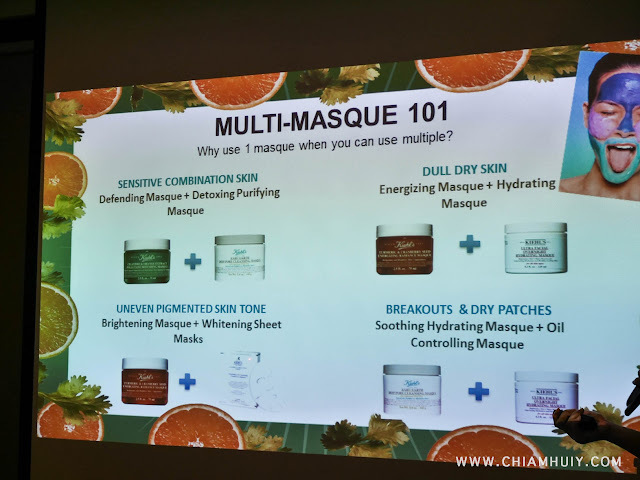 Review: While the tingling and heat sensation is stronger than the Cilantro and Orange Defending Masque, it is also much more refreshing! The second masque introduced tackles more of pollution problems. Pollution not only affects our health, it also damages our skin. Cilantro and Orange Extract Pollutant Defending Masque is great to block damage, strengthen skin and increase skin’s resistant against pollution. Other than a wash off masque, this can also be used as a leave on mask. Simply apply a thinner layer on your skin to treat it as a sleeping mask. 1. Fights skin damage using Orange Extracts, obtained from dried young fruit of the Citrus Aurantium (Bitter Orange). It's a strong anti-oxidant to protect your skin. 2. 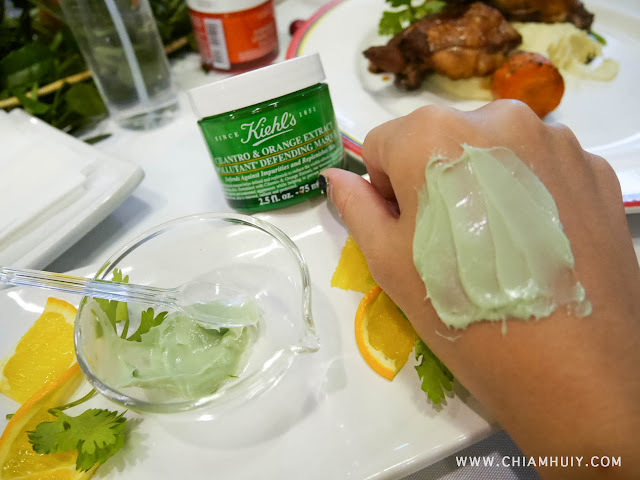 Strengthens the skin using Cilantro Seed oil and Vitamin E. Interestingly, CilantroSeed Oil is rich in petroselinic acid, which encourages the stimulation of skin barrier differentiation and accelerated barrier regeneration after pollution damage. 3. Shields against pollution through day and night usage. In the day, the masque prevents pollution particles from adhering to the skin. 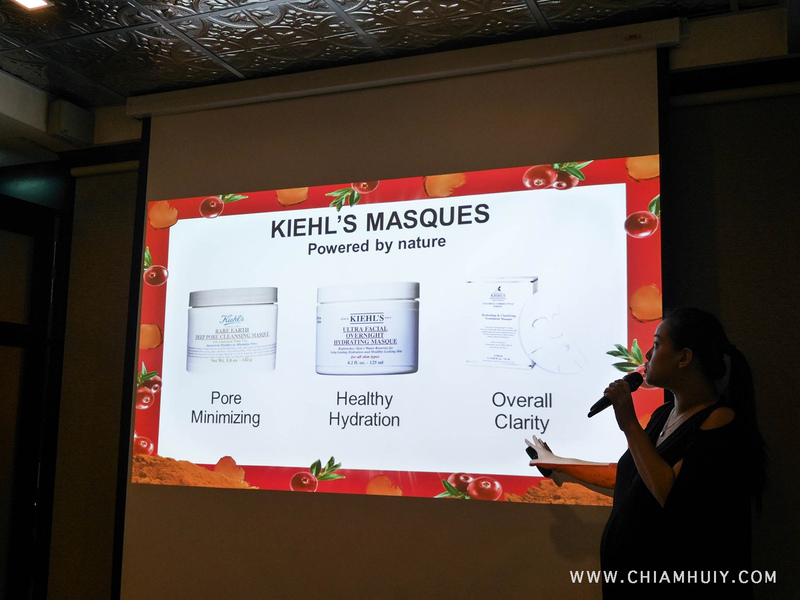 In the night, let the masque works it magic on your skin. 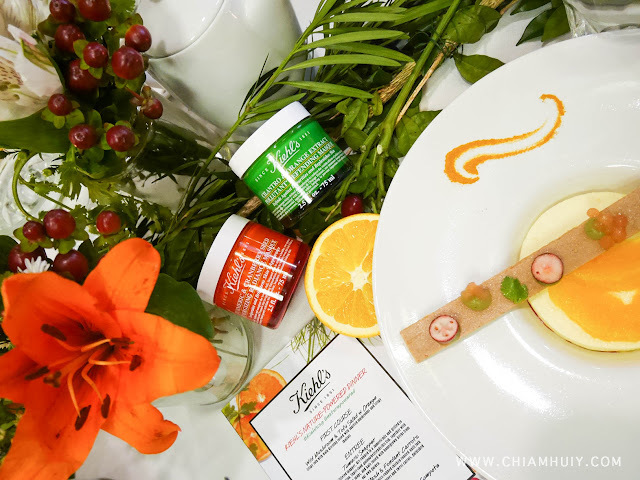 If you are a Kiehl's fan, feel free to play around with the concept of multi-masking! Not to forget some of the popular Kiehl’s masque. Be sure to catch these new masques when they are launched in Feb 2016!